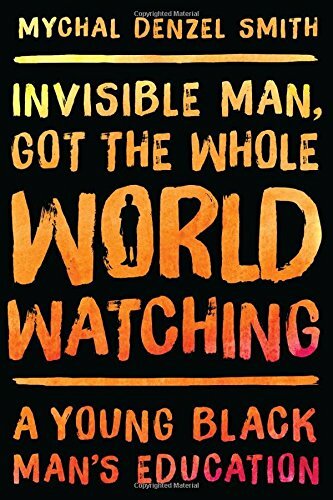 I am almost exactly the same age as Mychal Denzel Smith, so reading his reflections on learning how to be a black man in America was like stepping into an alternate reality where the same people and events I remember from my childhood and adolescence are present and recognizable, but cast in a different light. I don’t think I’ve ever experienced such a stunning demonstration of how limited my own viewpoint is, and that revelation alone makes reading his book worth it. Take Kanye West, for example. I remember vividly the telethon for Hurricane Katrina relief when he went famously off-script and announced that George Bush doesn’t care about black people. I also remember being confused by both the statement and his anger, because at the time I didn’t understand systemic injustice and racism. I didn’t personally experience it, so I didn’t see it. A lot of white people still don’t see it. Kanye, in the way only Kanye can, was trying to make it visible to everyone. Smith, of course, because he had experienced firsthand the effects of racism his entire life, understood perfectly the point Kanye was making, and his feelings upon witnessing his statement were of affirmation and solidarity. This is just one example of how Smith’s writing helped me see a familiar world with new eyes. It seems to me that a lot of times, racism has at its root a failure to understand that our own viewpoints are limited. This, I've decided, is how otherwise kind and understanding white people can deny the existence of racism with utter seriousness. They can’t accept that there are experiences outside their own. That’s why books like Smith’s (and for that matter, videos documenting police brutality and other injustices) are important for all people, white and black, to engage with—so we can all bear witness to what’s happening outside our own little corner of the world. Although the book is fairly short and I listened to it in just a few hours, Smith’s interests are wide-ranging and he covers a lot of fascinating topics. He talks about the need for intersectionality with LGBTQ and feminist causes. Also highly interesting to me was his discussion of respectability politics. As you might guess, the comparison to Ta-Nehisi Coates feels inevitable, with Between the World and Me published just last year and dealing with similar themes, but Smith’s writing is less poetic, a bit more accessible, than Coates’s. Still, I couldn’t pick a favorite between the two. They’re both great and everyone should read them.